Digital video ad spend keeps rising, with the latest video advertising study showing that marketers spend more than half of their ad budgets on video. On average, marketers allocate over 59% of digital and mobile spend to video advertising. 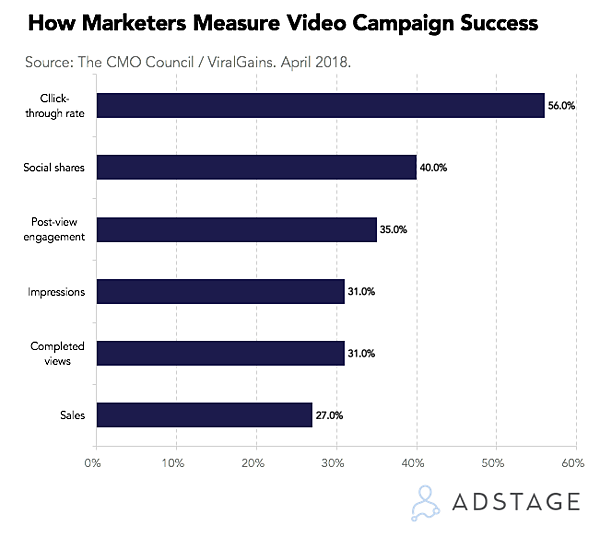 But according to another recent study by the CMO Council and ViralGains, marketers still struggle with closing the loop between video campaigns and revenue. That study shows that most marketers (56%) measure video campaign success in clicks, not sales. Just 27% of the senior marketing leaders surveyed in this study track results from ad campaigns all the way to the bottom line -- direct sales. Most marketers (56%) track video campaign success with click-through rate. And while marketers do think that social shares are more important than impressions and 31% actually track post-view engagement, only 27% measure contribution to the bottom line. In all fairness, connecting video ad campaigns to revenue traditionally didn't make sense: video format was only used at the awareness stage. But this is changing. Google claims that nearly 50 percent of internet users look for video that is related to a product or service before visiting a store, and according to Forbes, 65% of all business executives visit a website after viewing a vendor’s video (stats cited by the CMO Council). All that means that more than half of all shoppers -- both B2C and B2B -- consume branded video content before buying -- and when it comes to measuring advertising effectiveness, most marketers are left in the dark. The disconnect between the metrics marketers see as critical and the metrics they actually track becomes apparent when you look at the graphic below. When asked to name the top professional success metric, marketers put sales at the top of the list. Yet for digital video ads, click-through rate remains the number one metric. 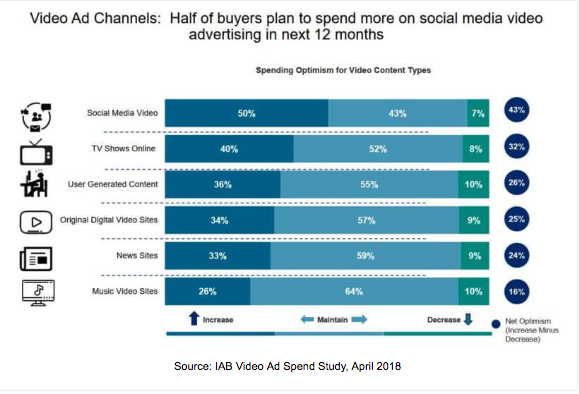 Just like the marketers in the IAB study, those surveyed for the CMO Council study also feel enthusiastic about doubling down on video spend. 96% of marketers say they will increase video ad spend in 2018. In response to the increased demand for video ads, most, if not all, major ad networks bet on video advertising (most recently, LinkedIn Video Ads). While it’s true that the primary success metrics often depend on how easy it is to get performance data from the native platform, sophisticated marketers rely on third-party data analytics solutions to measure the real value of ad campaigns and track results from clicks to incremental revenue. As video budgets soar in the upcoming years, the need for closed-loop reporting will grow as marketers will need to prove the ROI of what’s poised to become the biggest and strategic part of their marketing investments.